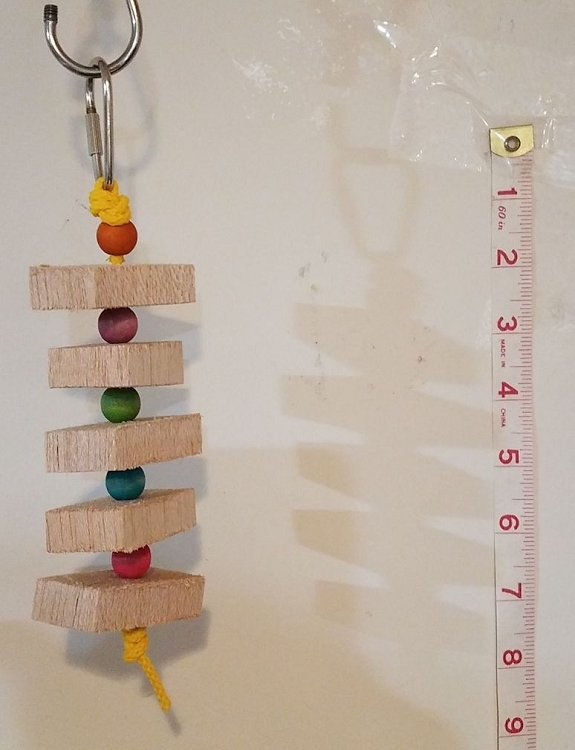 Five natural balsa pieces, each about 2" by 1" wide by 1/2" thick dangle on poly rope with small colored wood beads. Great chew toy for small and x-small birds. Standard with nickel pear link, stainless quick link optional. About 8" long. 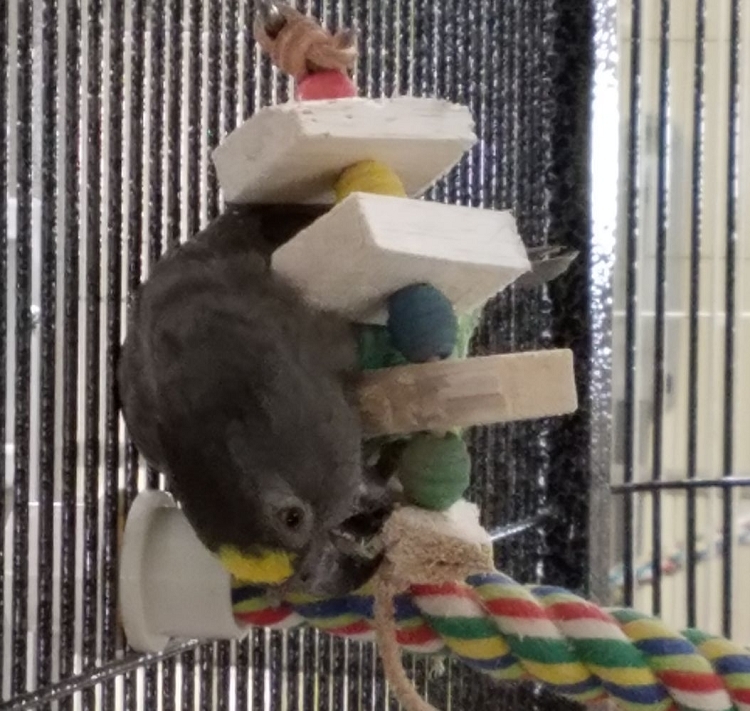 I was wary of giving my birds new toys because they haven't had a new one in a while! But it didn't take long for my birds to shred these things down--and I can tell they love them! I plan to order more in the future. My Sennie is obsessed with balsa...HUGE blocks she will destroy in a day. Its her "work". This toy would be gone in 5 minutes. My green cheek has only minimally chewed harder wood toys and is afraid of even small chunks of balsa. I got it for him.This toy did not even make it past a few hours. But that is great! I am so happy it helped him discover not to be afraid of balsa. Now I know I can HANG the smaller blocks and he will have fun. Great little balsa toy. I now will try it for my parrotlets.